After almost a year without a TARDIS to call its own, the latest series of "Doctor Who" action figures has a place to max, relax and travel time and relative dimensions In space. 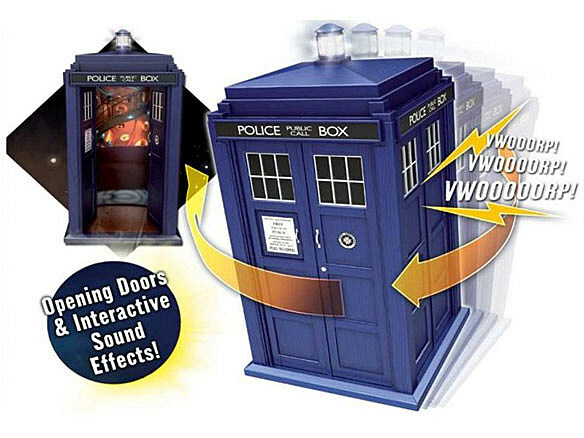 Both Underground Toys' updated Flight Control TARDIS and its "bigger on the inside" TARDIS playset are now available from sites like Entertainment Earth and the Big Bad Toystore. 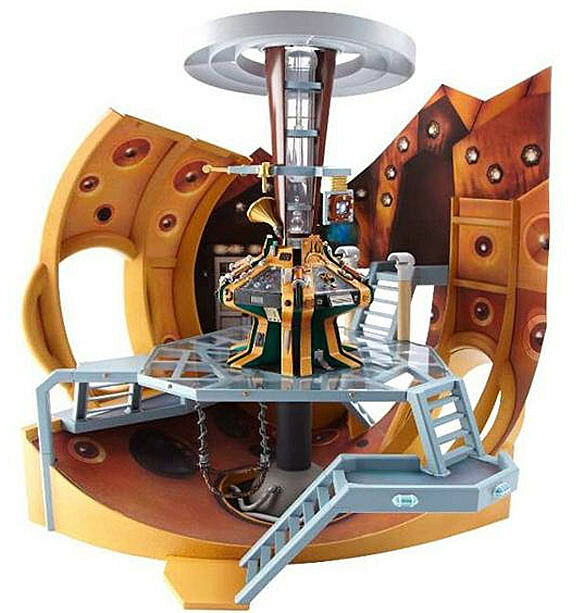 The updated FCT features a new paint scheme and interior, while the TARDIS playset is a complete overhaul of its previous incarnation and showcases its multiple signature multiple levels for climbing action. 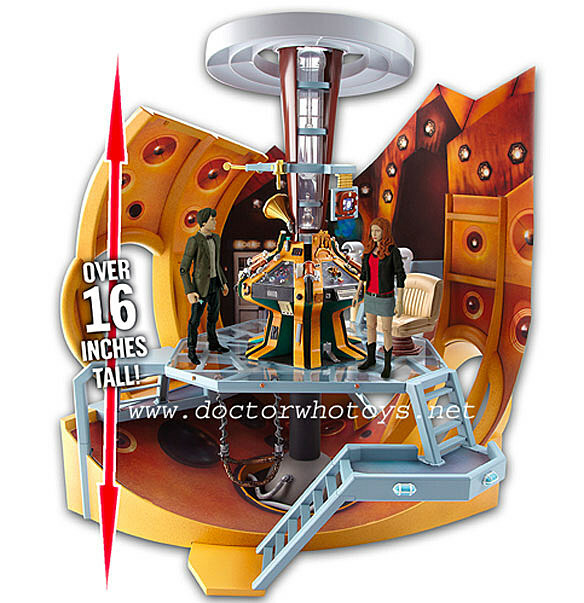 The new TARDIS playset's curved basement is a nice touch, especially if you're like me and long for a world where The Doctor hops a skateboard version of K-9 and gets extreme to some half-pipe action. His signature move? "The Sonic Screwdriver." If the BBC can just adopt Shaun White, the Twelfth Doctor can even be a ginger like he's always wanted! Man, I don't even know what I was talking about. Toys or something? See a few more photos after the jump. 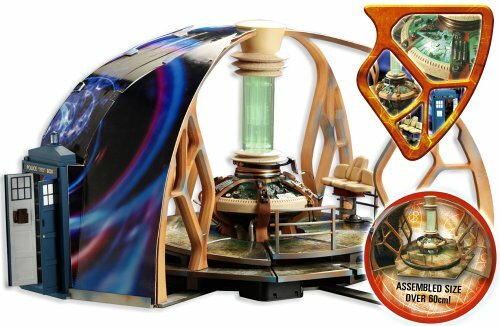 ...and an earlier image from Doctorwhotoys.net.